When it comes to “adjusted tempo,” the NCAA Division 1 champs were ranked last. Yes, at No. 353, the Virginia Cavaliers gave their fans the slowest moving games. Where are we going? To how we value a college basketball program. Although college basketball teams are never bought and sold, one assistant finance professor decided to figure out their market value. Annually, Dr. Ryan Brewer includes data about revenue, capital structures, attendance figures. He quantifies risk, future projections, team performance, and adds in the coach’s salary. There is lots more but you get the picture. 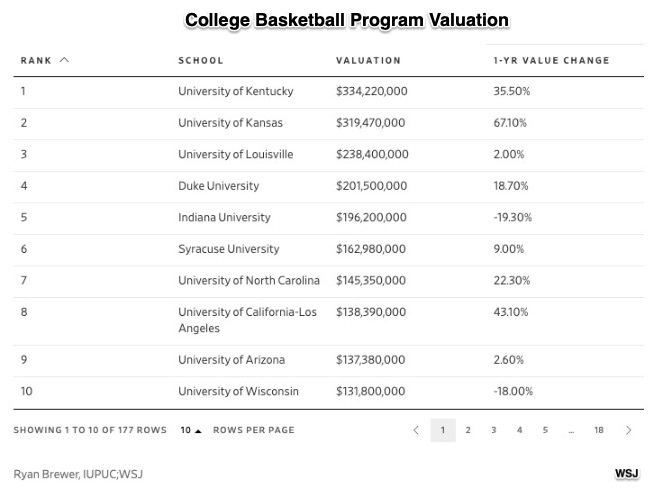 At $64,040,000, Virginia’s program valuation was ranked No. 36. The second place team, Texas Tech, was No. 62 with a program valued at $40,290,000. We could say that what you measure is what you care about. For athletic teams, the possibilities range from traditional statistics about wins and losses to the Moneyball stats that Michael Lewis memorialized. From there, we can add Dr. Brewer’s market value totals and Ken Pomeroy’s adjusted tempo and efficiency algorithms. For the country and our sports teams. 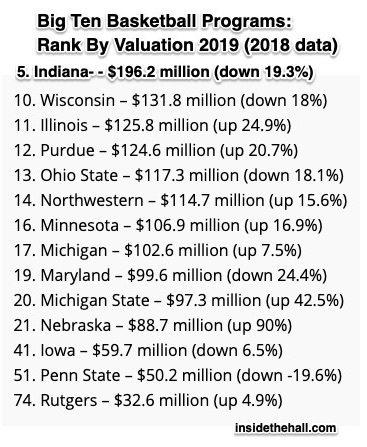 My sources and more: Yesterday’s WSJ grabbed my attention when it asked, “How Much Is Your College-Basketball Team Worth?” From there I discovered that everyone refers to Ryan Brewer’s (Indiana University-Purdue University Columbus) ranking and research. I also peeked at the adjusted tempo ratings at kenpom.com and this sports column. 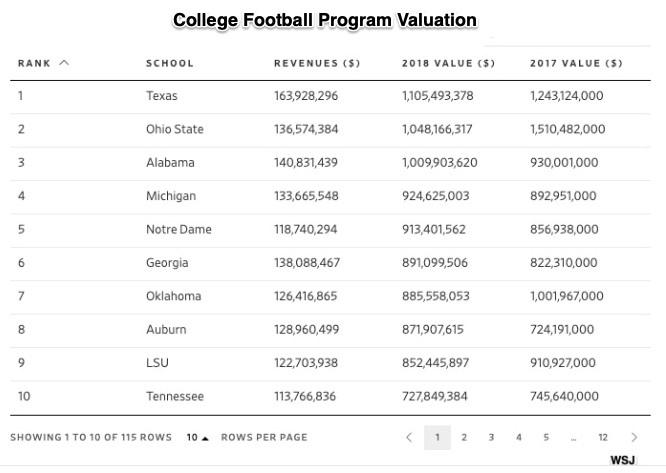 Then, if you are interested in football program valuations, do go here.